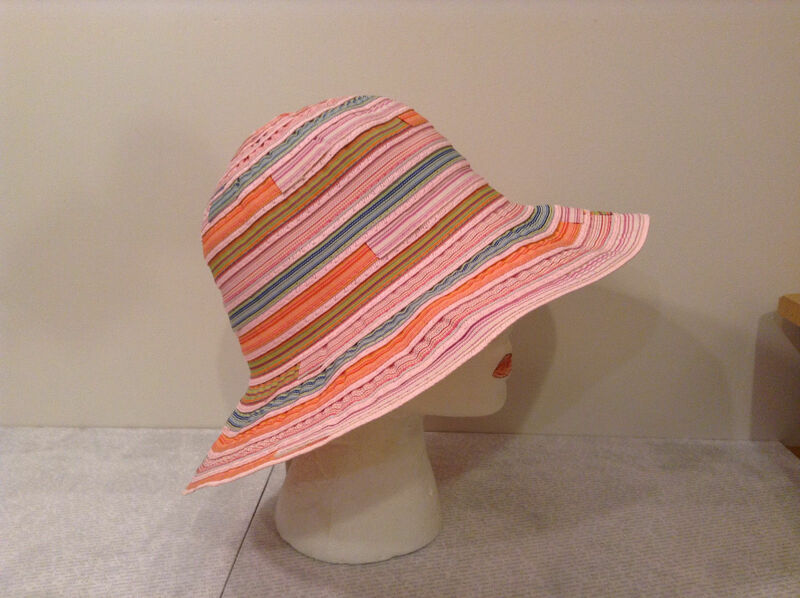 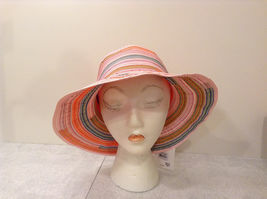 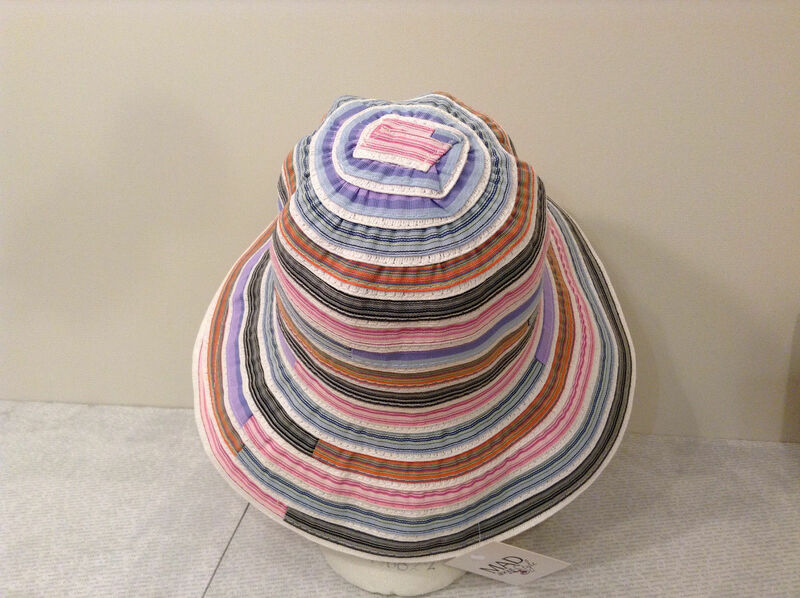 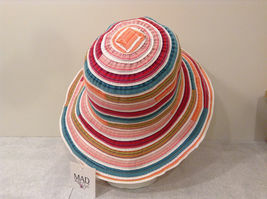 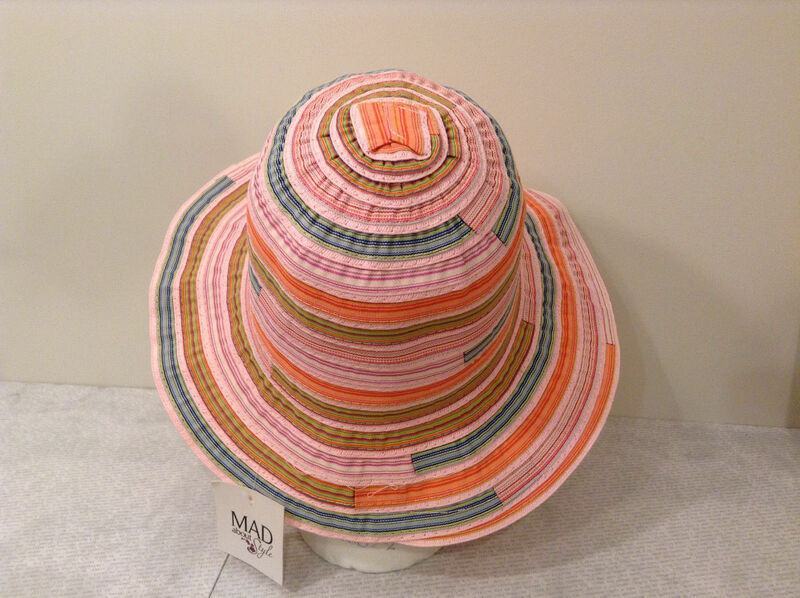 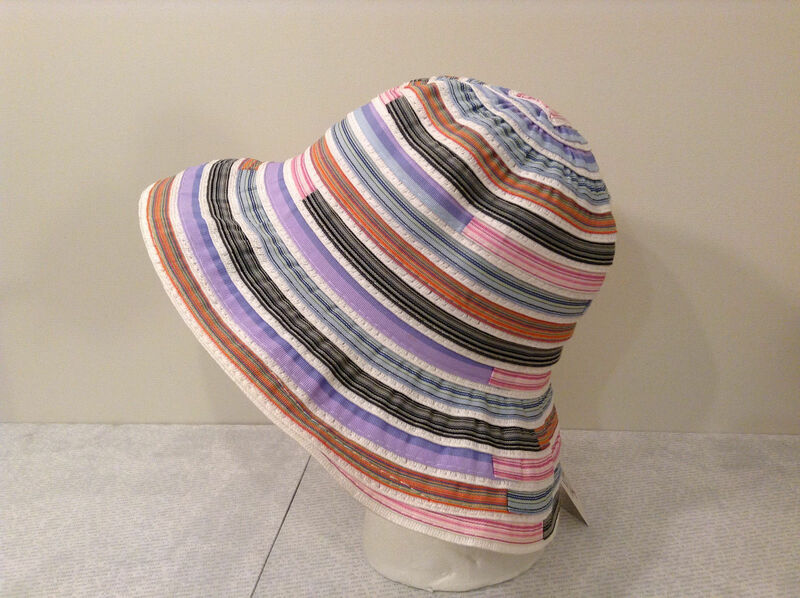 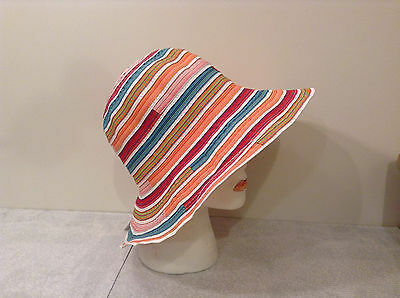 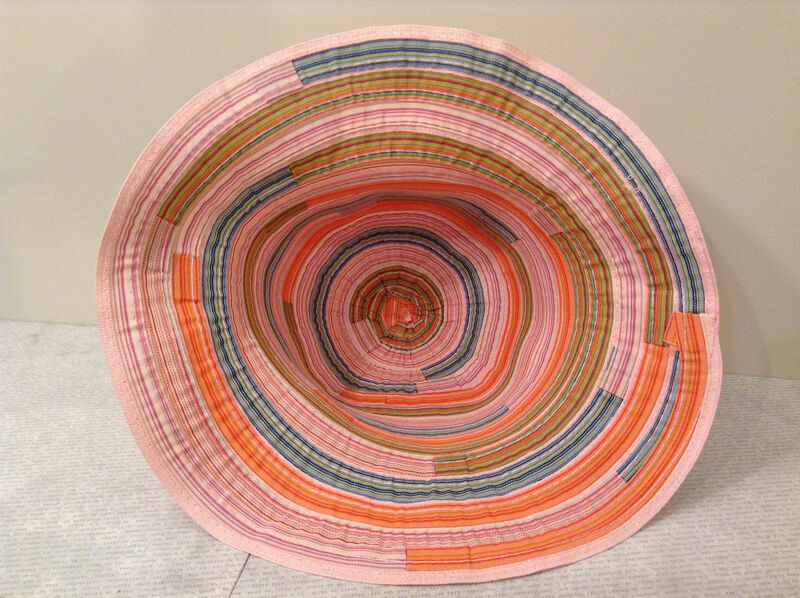 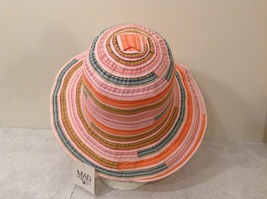 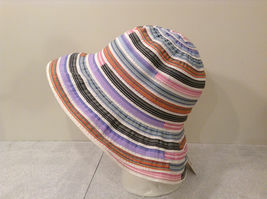 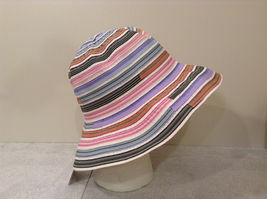 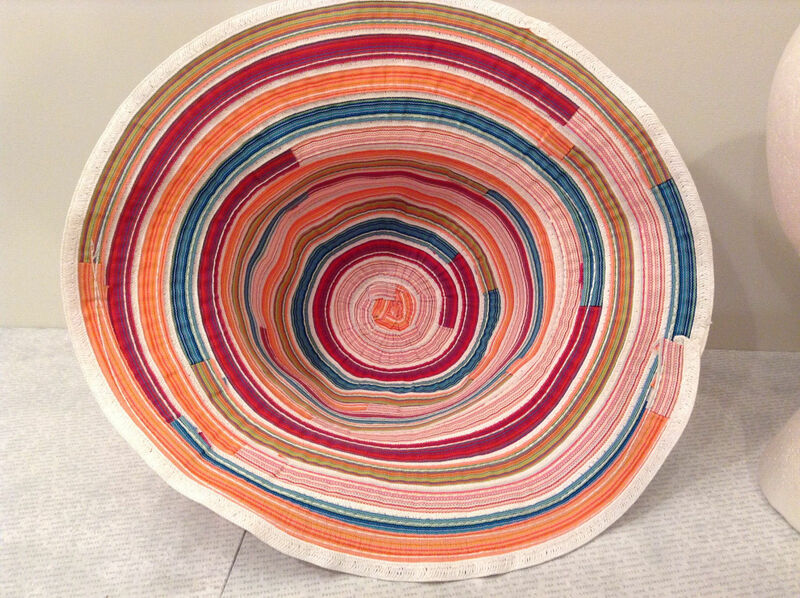 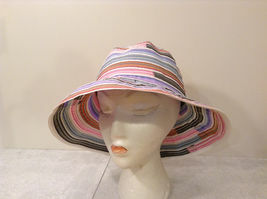 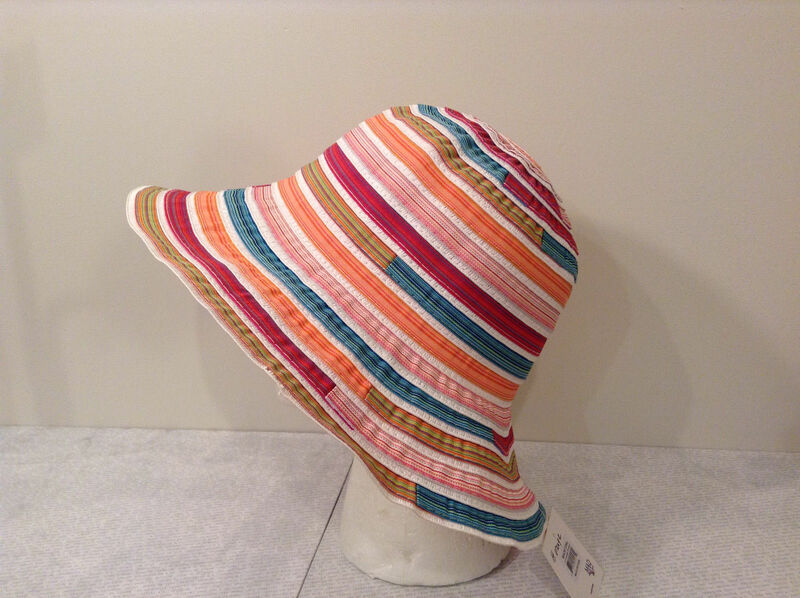 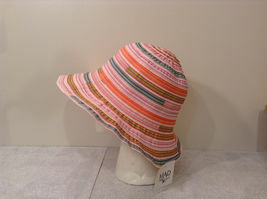 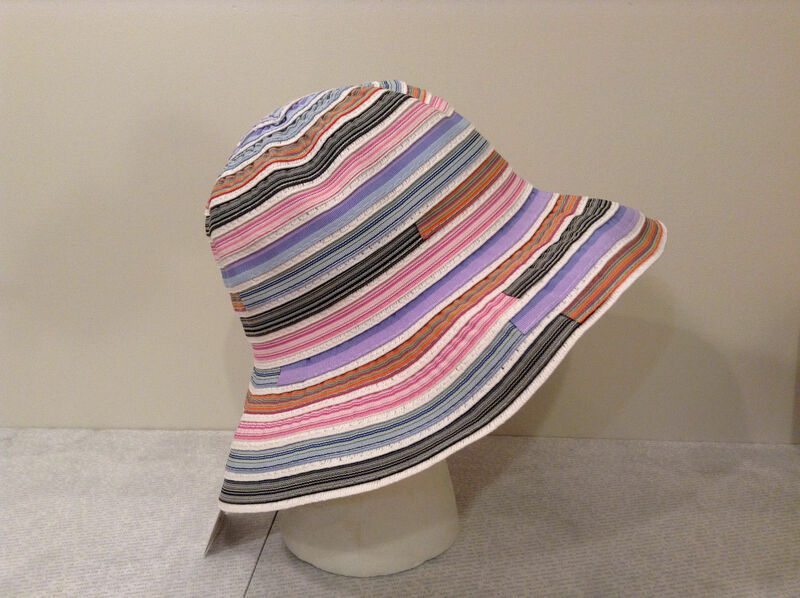 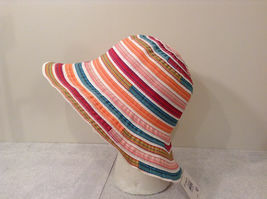 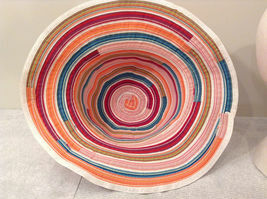 Woman Summer Hat "Sinead" Striped Multicolor. 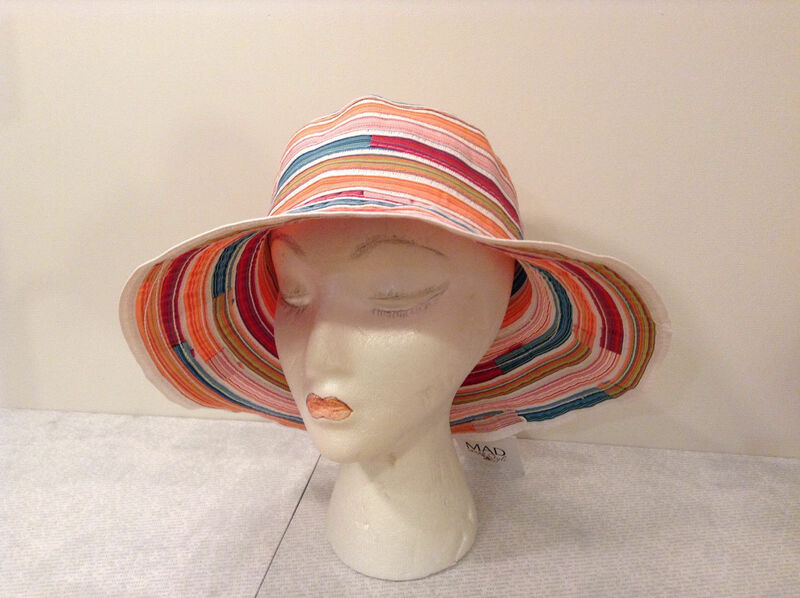 Measurements: One size - 22-1/2 inches inside hat. 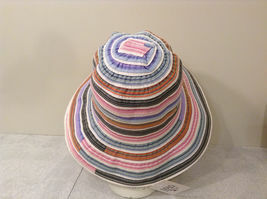 Hat width 13-1/2 inches, Height 8 inches.